Raman Raghav 2.0 1st Day Collection Day 1 Raman Raghav 2.0 Friday Box Office Business and Occupancy Report: Anurag Kashyap shines with yet another psycho-thriller. Raman Raghav 2.0 hits the theaters today and the audiences are going crazy with Nawaz’s Soliloquy dialogues. In case you missed the review, you can go through Raman Raghav Review and you can check out Raman Raghav 2.0 day 1 collection report right below. Critics gave a mixed response for this fresh script. Even at the film festival, it was appreciated. Though some critics felt the film was ludicrous, the impact on the audience matters the most. The audience thoroughly enjoyed the complete act of a psychopath. They were stuck to their seats and what else you want from a director? So make sure you watch this one quick. Anurag’s new technology came in handy. Guerilla filmmaking techniques looked natural. Vicky Kaushal, a drug addict cop did play his part but Nawaz shimmers all through the film. So on day 1, we find many who desperately want the review to go and watch the movie. The premier shows mixed reviews affected the Raman Raghav day 1 box office collections a little. So on day 1, Raman Raghav started off slowly. Raman Raghav was screened in more than 300+ theaters. There are few more big releases like Independence Day 2. Udta Punjab, Finding Dory, and The Conjuring 2 are still out there. It was tough for RR2 but day 1 business ended in a beneficent manner. Have a look at it now. Raman Raghav managed to do a business of around 4 crores in all over India. Whereas in Overseas, Nawaz is grabbing applauds for his performance. The premiers from US, UK, and Dubai managed to bag around 1 crore. So the total domestic collections ended at 4 crores and overseas collection at 1 crore. 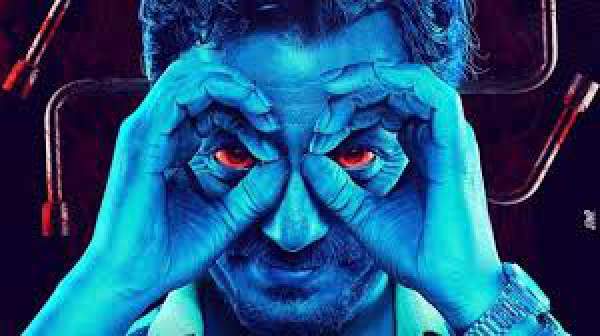 The worldwide Collections for Raman Raghav 2.0 on day 1 ceased at 5 crores. Friday collections were content for the makers. As day 2 and day 3 are Saturday and Sunday, it is expected that there will be definite spike in the Raman Raghav earning report.